The Peanuts Movie is probably the most delightful unnecessary movie you’ll ever see. It’s delightful in the way it echoes and reflects the many beloved Charlie Brown TV specials and unnecessary for that same reason. The fact that it’s coming out smack dab in the middle of a fall season in which It’s the Great Pumpkin, Charlie Brown (1966), A Charlie Brown Thanksgiving (1973), and A Charlie Brown Christmas (1965) all make their annual appearance on television only underlines the fact that while The Peanuts Movie at times is magical, it’s borrowed magic. But what it lacks in a genuine reason for being it more than makes for in sheer amiability. Everything you ever loved about the TV specials makes its way into the movie: Charlie’s crush on the little red-haired girl (which provides the film with its story arc), Lucy the psychiatrist (still only charging a nickel! 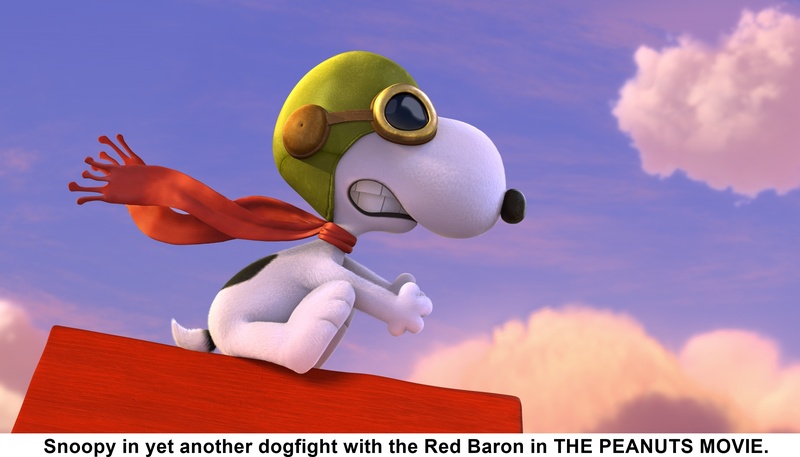 ), Snoopy vs. the Red Baron, Pigpen’s clouds of dust, Schroeder performing classical music miracles on his toy piano, Linus’ attachment to his blanket, the kids’ anarchic dancing, and more. Wisely, the screenwriters, which includes late Peanuts’ creator Charles Schulz’s son Craig and grandson Bryan, leave well enough alone when creating the characters’ world. There are no cell phones, computers, or Nike swooshes on clothing. There is a blue recycle bin, but that’s as far as it goes toward referencing the modern world. Instead, it’s all charmingly retro and all the more timeless for it.